It’s time for Sandra Oh to take the spotlight at 30 Rock: the Grey’s Anatomy/Killing Eve star will host Saturday Night Live for the first time this weekend! The Canadian-born Sandra Oh will host Saturday Night Live for her first time on Saturday, with musical guest Tame Impala. She’s best known for her roles in the aforementioned Grey’s Anatomy and Killing Eve, as well as the HBO series Arliss and a ton of various film roles. But Sandra Oh is a Canadian girl through and through. How Canadian is she? She’s so Canadian, she appeared in an episode of Degrassi High! SNL is no stranger to Canadians – some of the legendary cast members are Canadians, such as Mike Myers, Phil Hartman, Dan Aykroyd, Robin Duke and Norm MacDonald. Oh, and of course the man behind it all: Lorne Michaels. None of the current cast are from anywhere north of a Great Lake, so it’s good to see another Canadian finally back on stage: the last one was Ryan Gosling in September 2017! When Awkwafina hosted SNL in October last year, she made headlines for being the second Asian woman to host ever, and first since Lucy Liu (star of Elementary) hosted in 2000. That makes Sandra Oh the third Asian woman to host in a span of 19 years, but second to host in a span of six months! On to the news: it’s finally in. Minus 5% for lateness, Robert Mueller handed in his report after fully investigating Donald Trump and the Trumpettes for collusion and his findings were inconclusive. So you can expect that Big D is in a celebrating mood, or is at least going to move on to the next thing to be surly about. Either way, this is material for Alec Baldwin, Michael Che and Colin Jost to have somber fun with at Saturday Night Live. Hopefully Baldwin will return as Trump – possibly to have a final confrontation with Robert De Niro, aka Robert Mueller? You hear that Robert Mueller? Duty calls: your next collusion investigation is Saturday Night Live! No type of research beats the research of watching SNL reruns. You know, for collusion. Don’t miss Sandra Oh on Saturday Night Live, with musical guest Tame Impala. 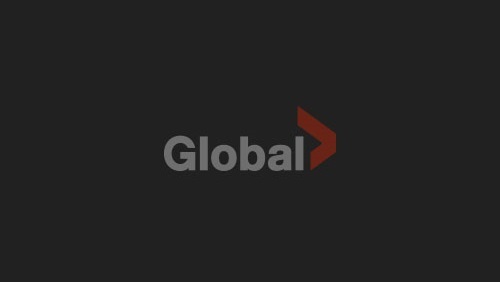 Watch Saturday Night Live this Saturday March 30 at 11.30 et/8.30 pt on Global. Don’t miss it! And be sure to catch more new episodes of Saturday Night Live airing Saturdays at 11.30 et/8.30 pt on Global, and watch the latest episodes online here on GlobalTV.com!